Heirloom Portraits is the leading photography company of its kind in Northern Canada, serving an extensive area of more than 130 communities. 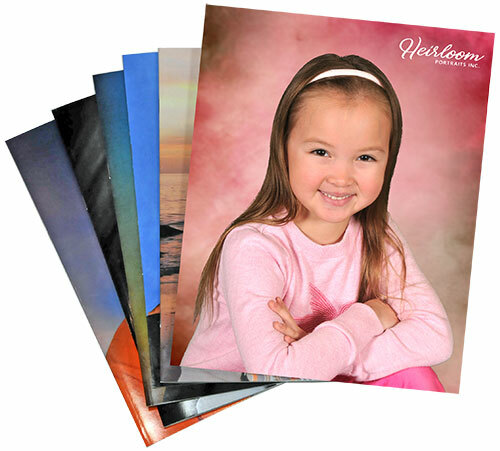 We provide yearbooks, portraits, and photoproducts to schools, childcare centres, and sports teams. We also produce family portraits in a joint venture with the North West Company, allowing for a truly convenient delivery system. Heirloom Portraits Inc. provides the best-in-class customer service, management systems, and product value. Whether the focus is family, school, childcare, friends, or sports, Heirloom strives to produce the finest quality portraits at the most reasonable prices. Without satisfied customers, Heirloom Portraits would not be where it is today. Our willingness to adapt and adjust to our clients’ ongoing needs has contributed significantly to the resilience of our company – and we thank you for your business and support. The Heirloom Team offers a 100% Guarantee on all of our portrait and school photography, and takes each and every inquiry from our customers to heart. In fact, we are not happy unless you’re happy! Members of our staff are not only knowledgeable, but have been specially trained to be helpful and courteous. So, don’t hesitate to share your questions and comments with us; we will give you our sincere attention and work with you until all of your needs are fulfilled. Our customers have rights to the highest quality products, prompt attention to all inquiries, and on-time delivery. We value your business and will always treat you with respect. Our flexibility and foresight has allowed us to serve a wide array of satisfied clients throughout the years. And it doesn’t end there. We will continue to listen and learn from our customers as we grow our business into the future.